We’d love your help. 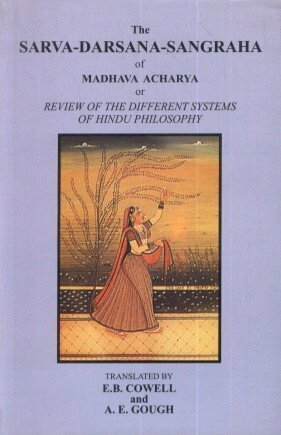 Let us know what’s wrong with this preview of The Sarva-Darsana-Sangraha of Madhava Acharya or Review of the Different Systems of Hindu Philosophy by E.B. Cowell. In this fourteenth century text 'A Compendium of all the Philosophical Systems'(of India) the author successively passes in review the sixteen philosophical systems current in India at the time, and gives what appeared to him to be their most important tenets, and the principal arguments by which their followers endeavoured to maintain them. To ask other readers questions about The Sarva-Darsana-Sangraha of Madhava Acharya or Review of the Different Systems of Hindu Philosophy, please sign up. Edward Byles Cowell FBA, published as E.B. Cowell, was the first professor of Sanskrit at Cambridge University and a noted translator of Persian poetry.